Hatebase uses a broad multilingual vocabulary based on nationality, ethnicity, religion, gender, sexual discrimination, disability and class to monitor incidents of hate speech across 200+ countries. 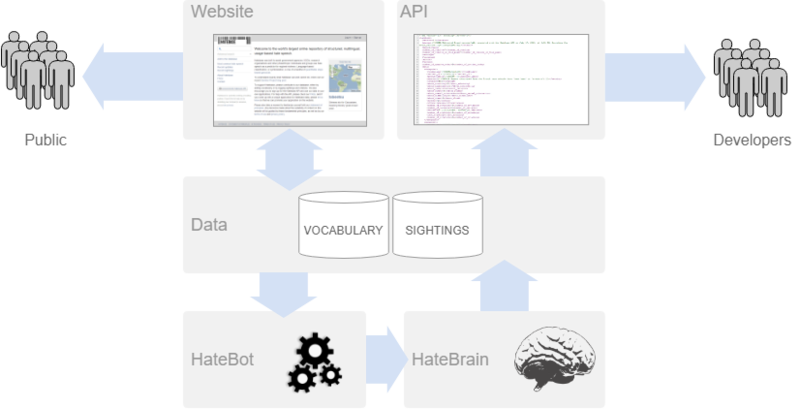 Our natural language engine, Hatebrain, performs linguistic analysis on public conversations to derive a probability of hateful context. All data is made available through the Hatebase web interface and API. Our regionalized vocabulary and sightings daata is useful for monitoring trends in hate speech usage and correlating with other datasets to perform conflict risk analyses.